So, my last post was about my Amazing trip to Andamans. Before proceeding onto the trip, my biggest concern was a good sunscreen that can work on beach and for all of us including my 2 year old son. I was checking a lot of reviews and brands and getting info from my friends too. Then, I visited a local store in my nearby market. This store stocks all good brands and almost always runs some offers. I selected Lotus and Loreal Paris sunscreens there, but then, some new brand caught my eye. It was Organic Harvest. The SA for that brand was well aware of everything and was very helpful and was trained from the company itself. She showed me many products from the brand. But, as I had eyes for sunscreen only that day, so was not seriously looking at any other item. But I remember, they have a decent and useful range. If the products come out good, then I would surely love to stock up from them. I got the highest version with SPF60 as I needed extra protection from Andamans scorching sun and weather. I wanted full protection. I was not going to use it on face so its suitability for my oily acne prone skin was not an issue. For that I had Neutrogena sun block SPF 50. Very little quantity is required, that takes away the negativity of its cost. 5 of us were applying it daily on hands, feet, necks, and face also (except me and Ritcha). And it worked great. No problem encountered by any of us. A totally safe workable product. I tried using a small quantity at my face too but no adverse reactions or breakouts. I used it liberally for my 2 year old sonalso and it worked well for him too. Since, we headed for beaches in late afternoons, we didn’t need to apply it twice but it worked well for us in a single application. For those days, when we toured the whole day having only afternoons at hotel, we used it twice. This sunscreen saved us from lots of suntan. Obviously, we could not escape tanning in Andamans, but we were not even expecting it. Sunscreen, for me, was only a way of reducing tanning and that it did perfectly. This Organic Harvest sunscreen is sweat – resistent, so, humid weather is not a problem. It worked for me. I am satisfied with the product. This sunscreen comes in a plastic bottle with a pump dispenser. Very convenient and travel friendly packaging. Only 2-3 dispenses were enough to cover my full hand. A sweat-resistant formula, it creates a shield on your skin to combat the harmful effects of UV-A & UV-B rays. Use it daily, before going out in the sun. Thick and white in colour. Easy to spread and blend. Provides protection from sun to a great extent. Not much quantity is required, so the small bottle goes a long way. Fragrance free, mildly herbal scented. Available at many local stores. Online you can get it from ebay. Little bit expensive, but then, it has SPF60 and little quantity is required that easily compensates for the cost. Fragrance is very mild but I personally didn’t like it. But again, fragrance free products are always good!! I would not hesitate in repurchasing this again but since, normally, we don’t require this much SPF, I would this time try their gel based SPF 15 sunscreen or SPF 30 version. Also, in my must buy list, is their scrub which SA tried on my hand. Great job once again on this review. Seems really good. And perfect for Bombay's humid weather. Will check if it's available at stores here or online. This is a great review. 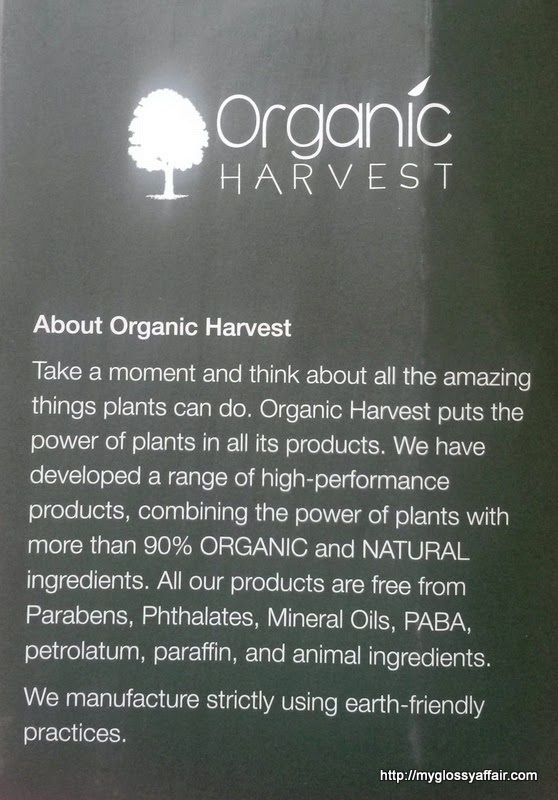 I like organic products a lot so thanks for sharing. This is a must try, never seen something with an SPF of 60. Great review Charu!! Sounds like a great product. Never tried this kind of thing but looks really interesting, nice review! 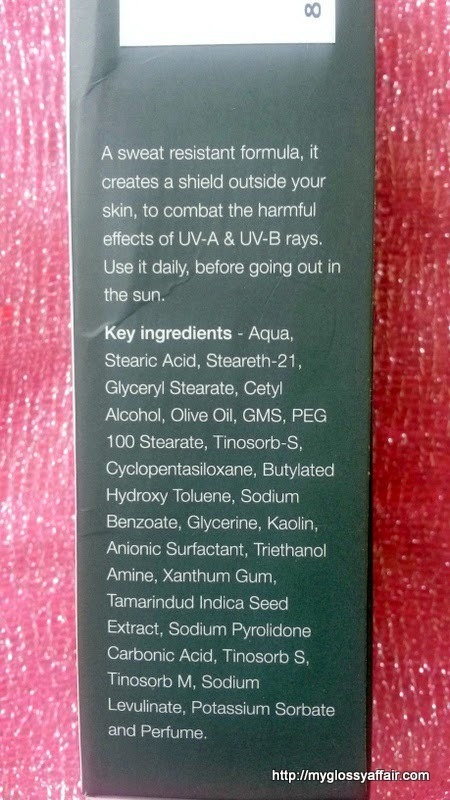 Wow this sounds like a bang on sunscreen, why I didn't discover it yet, now where can I get it easily dear Charu plz let me know, I also want it!! Sounds great, I think a really good sunscreen is a worthy investment. Such an important product. Also, thanks for visiting my blog earlier, I have followed you on Google Plus and Bloglovin.' However, I can't follow you on GFC right now as something seems to be wrong with the system. If you can follow me back on GFC, let me know so that I can follow you back when it's working again! Yay great to see u posting again! I'm really liking this brand these days! The sunscreen sounds total value for money! Nicely reviewed hun! I love that you show the ingredients because not many does that when they review a product!! Perfect review… greeat job darling!!! 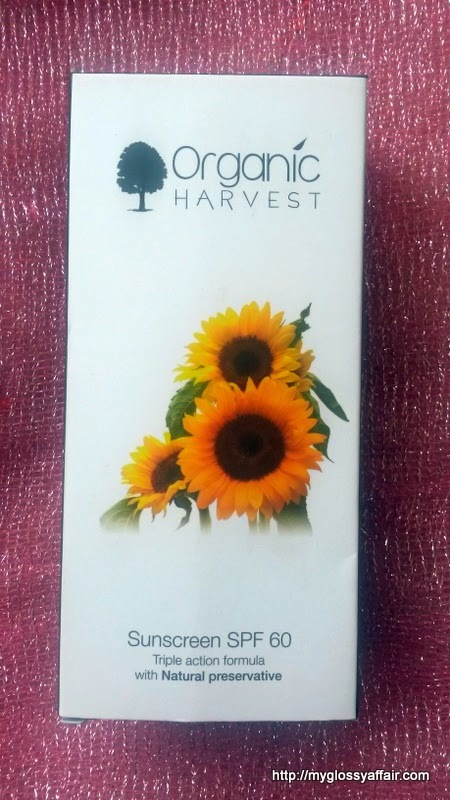 I have been wanting to use Organic Harvest product since a long time…Loved the review and high sunscreen is a must in North India!! The summers are bad here!! Your blog is so sweet with lot of information . I haven't heard of this brand of sunscreen before, looks interesting. Hope you're having a good week so far. sounds like an awesome product!! Wow, SPF 60 sounds great! Nice review. This sounds like an awesome sunscreen and would be perfect for the hot beachy days here in Bermuda. Great detailed review Charu! Great review! I actually want to try it but wondering whether you feel sticky after apply? Thanks for sharing. 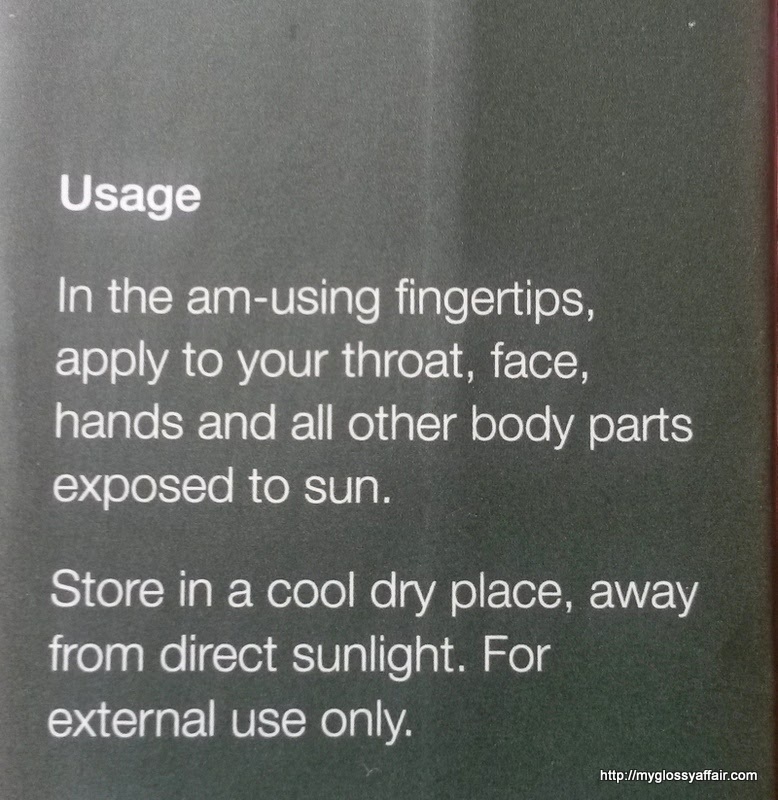 I always struggle to find a safe sunscreen, so it's good to know these are out there. Any chance you would like to follow each other on Google+ and Bloglovin?